Fulfil your dream of swimming with dolphins in Mexico. Have you always dreamt of swimming with dolphins? 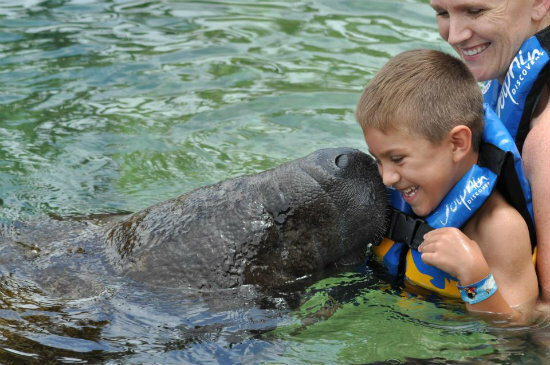 What about manatees? Stingrays? 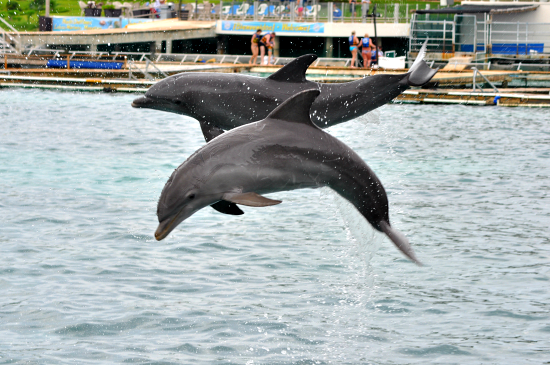 The Sea Life Circle is a program offered by Dolphin Discovery. Not only do you get to go swimming with dolphins, but you get to meet some manatees up close, snorkel with sting rays, nurse sharks, and get what they call a Royal Dolphin Swim. The Sea Life Circle program is offered in Isla Mujeres, just across from Cancun. You get to take a catamaran ride there. Once on the island, you have access to lockers, towels, your equipment and all your food and drink is included. We started the experience by swimming with the Manatees. These gentle giants were incredible! Kisses and hugs, we were given the opportunity to feed them, and we learnt all about them. Did you know they were herbivores and only have 2 teeth? Their whiskers tickled our cheeks and you couldn’t help wanting to cuddle them, despite the size. On to the dolphin swim…. We were in the water for about 45 minutes. There was a lot of interaction, playing, splashing, touching… The most exciting parts were the foot push and the fin ride although just getting to be so close to the dolphins is incredible. Into another area now, a quick snorkel with giant manta rays and nurse sharks. We even got to observe some bull sharks. Scary and impressive! After all the excitement, we had access to a buffet meal, drinks and then lounged about in the swimming pools. A catamaran ride later and we were back in Cancun and on our way home. We were smiling from ear to ear thoroughly satisfied by the experience and in awe of all the animals. All the staff members were courteous and helpful, always on hand to help. Amazing experience that makes for incredible memories! Need advice or help booking, contact us!